The roles of a mobile notary and loan signing agent are very important. 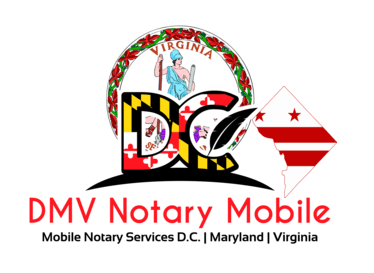 Many documents such as mortgage documents, wills, contracts, sworn statements, affidavits, and powers of attorney often require a notary or mobile notary public if you are unable to travel. The duties of a notary public often vary from jurisdiction to jurisdiction. In Washington DC and Maryland, it is very important to verify the identity of the person who is signing the document. As a mobile notary and loan signing agent, it is very important to read all documents thoroughly. You should also know where to place your seal or stamp on the document. When performing a loan signing, it is our duty and responsibility to guide to signer through the loan documents. A mobile notary signing agent is typically needed to help guide with documents such as Home Equity Line of Credit (HELOC), Refinance, Mortgage documents, and other real estate related documents. Also, whether you are acting as a witness, administering an oath, or acknowledging a signature, will determine whether the individual is required to sign the document in your presence or just confirm that an existing signature is, in fact, their own. It is very important as a notary to properly identify all signers. Also, it’s important to obtain a journal entry and log all the necessary information pertaining to the notary transaction. A mobile notary and loan signing agent cannot give legal advice. However, they can guide the signer to the right person who can answer their questions. Often this will be their attorney, an escrow officer or the lender who issues the documentation. When I am doing a loan signing I often get the phone number of the escrow officer or lender ahead of time in case questions regarding the mortgage documents come up. I find that most of the time people are happy to help and working together as a team can get a lot accomplished.